If you were to browse the change history you'd see that for the last couple months most of my work has been in Python on the run and maintenance scripts surrounding the solver. I think it's getting close. I'm currently running a one machine client-server configuration at home with four cores of my new i7-950 machine redistricting as fast as they can. I think I need to make the client confine itself to a set quota of disk space and be a bit smarter about data downloads and solution uploads, and then maybe in a month or so I'll have Linux and Mac x86-64 clients ready for download. This is all just an exercise to get ready for March 2011 (just over three-ish months away) when the Census bureau promises they'll have the redistricting data ready. With recent improvements in my preprocessing step, I'll basically be ready to go as within an hour of downloading the 50GB of data from the census servers - except those servers might be busy that day! They should post torrents! The block geometry files, which handily describe all the census blocks, don't do the best job of describing water. They have fields for the area of land and area of water encompassed, but they're too often not 100% either way. The "faces" level is much finer geometry, each block being made up of several faces, much bigger data files, and the Census breaks up the data files into batches for each county. Every face is either all land or all water. Massachusetts gets a little bulbous around the cape and islands where the blocks extend to some distance off the shore. 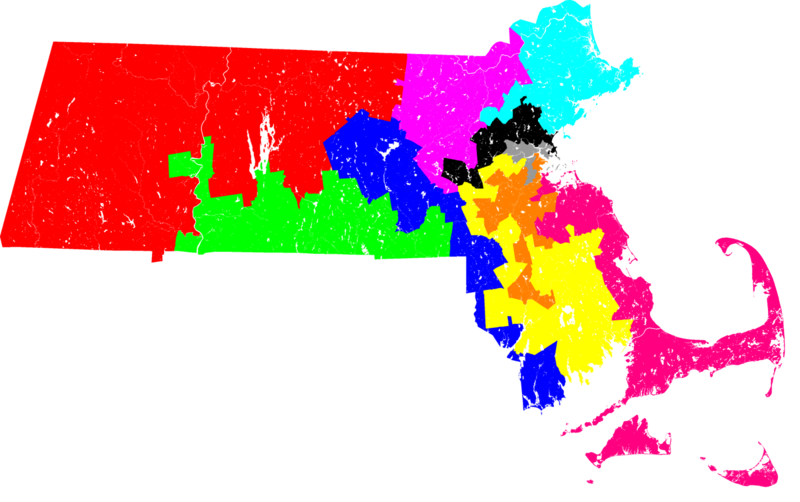 That's the current congressional district map of Massachusetts, but with much better coastal detail and with rivers and lakes too! I was doing a lousy job of periodic batches of redistricting news, somewhere I have over a month of notes about stories I should have put into the last batch. Instead, this blog will be about software development on redistricting tools, probably with occasional commentary and advocacy. If you want my filter of redistricting news, go to http://redistrictingnews.tumblr.com/, or stick http://redistrictingnews.tumblr.com/rss in your RSS reader. 2010-06-22 ND constitutional amendment proposed to make independent comission. North Dakota now has 47 legislative districts. Each one is represented by two House members and a senator. The amendment petition needs almost 26,000 petition signatures by Aug. 4 to get on the November ballot. 2010-06-23 Real Clear Politics blog notes Howard Dean's warning of republican gerrymandering power grabs, and the Democratic Governors Association's "Redistricting Fund". 2010-06-23 Rose Report on the escalating kerfluffle in Florida. More politicians and organization weighing in and joining suits. 2010-06-24 Orlando Sentinel formerly-Republican Governor Charlie Crist weighs in on lawsuits on the side of keeping 5 and 6 on the ballot. 2010-06-24 Mississippi county supervisors note tightness or impracticability of schedule between Census data release and primaries. Part of the time crunch is VRA federal approval of distict maps. Delaware SB 20 would make an independent commission for state legislative redistricting. 2010-06-25 Rose Report tells us the system protects its own. The anti-independent-commission ballot initiative seems to have gotten priority treatment (or a term-limit measure got specially slow treatment) and got squeezed into the schedule for the November 2010 ballot. 2010-06-26 Akron Law Cafe blog talks about the (apparently pretty good) maps that resulted from random interested citizens being given the right tools. Rep. Zoe Lofgren [D-CA16] introduced H.R. 5596: "To prohibit States from carrying out more than one Congressional redistricting after a decennial census and apportionment, to require States to conduct such redistricting through independent commissions, and for other purposes." This independent Commission is made up entirely of semi-retired judges. I think that's a weird demographic and possibly a small pool to select from. (E) Be connected by transportation links. Ok, nothing revolutionary there. The messy bits will come in when it does become time to run out of "nearly practicable" and break some things from parts C, D and E. Which things get broken where could be the difference between a fair map and a mess. (6)(b) "No district shall be drawn for the purpose of favoring any political party, incumbent legislator or other person." (6)(c) "No district shall be drawn for the purpose of affecting the voting strength of any language or ethnic minority group." (6)(c) may be the snake in the grass the NAACP feared with these new independent commission laws. This clause might be read to prevent affecting the racial mix of districts in either direction. Affirmative action gerrymanders forbidden. Though, in Oregon this isn't a big issue right now - the blackest district is less than 1%. Also, I think intention based law is bait for messy suits. Concrete effects are much easier to measure and judge. They're doing a little to short-circuit that by making all appeals go directly to the state supreme court. Their decision is final, boom, done. The Commission is empaneled by January 31, the Census has its data out by April 1, and the Commission has to have out a preliminary plan two months later on June 1. They better be ready to go with good tools. Heather Gerken (Prof at Yale Law) post at Balkinization, points to a lecture she gave on redistricting reform. Gerken on Open Source Software for redistricting - "I cannot emphasize how important it is to have this software. Most of the other reforms I describe here turn on its existence." She highlights Dr Michael McDonald (George Mason U) and Dr Micah Altman (Harvard) on BARD district analysis software. (Michael McDonald's page on redistricting reform. The rise of data nerds and their role in the internet may yet bring to light factoids that people can rally around to embarrass and shame the politicians and their dirty redistricting plans in the court of public opinion. Winning in that court can still be worth enough to cause change. Recently released was the Brookings Institution statement of redistricting principles (with others, another Altman and McDonald venture). This is primarily a statement about transparency and public participation. I'm particularly interested in its emphasis on technology; it has a lot to say about insisting that public data and public process be conducted in open formats. If there's any software that wants to be Free, it's software for the conduct of public process and governance. 2010-05-19 FL Legislature competes with redistricting initiatives. are Amendment 5 and Amendment 6." gerrymandering" That would be formerly Republican Governor, Charlie Crist. 2010-05-21 Orlando Sentinel NAACP, LWV, and others cry foul over 7. GOP-controlled Legislature approved the last day of the session." I think that'd be covered by the old Voting Rights Act, as usual. four-term congressman who served 14 years in the Legislature. 2010-05-31 Longish article about arguments on both sides, 5,6 vs 7. 2010-06-04 ohio.com and Columbus Dispatch note apparent failure in current political process. an August deadline for placing the issue on the November ballot." 2010-06-12 Akron Law Café blog on competing redistricting reforms in Ohio. laws may be weak and without teeth. HB4650 would adjust prison populations back to their prior home addresses. S7881 proposed. See my analysis of NY S7881. 2010-05-19 Long Island Exchange and Capital Tonight and Lawkipedia.com cover "S.1614A, sponsored by Senators Dave Valesky and Craig Johnson" which is also credited to Bill Samuels for pushing it. There has been lots of misc blogging on Prop 50, mostly in favor. I should read the measure. 2010-05-27 NPR story on Oregon Prop 50. 2010-06-15 Blog muses on Obama justice department influence on 2011 redistricting. "Since the passage of VRA, the Texas Legislature has undertaken redistricting five times, in '71, '81, '91, '01, and '03. At each of these times, the White House - and therefore the Justice Department - was controlled by Republicans." Redistricting Majority Project "A Program of the Republican State Leadership Committee"
Advocating for a Republican Party naked power grab via redistricting. They note the FL 5,6 vs 7 situation, and assert guilt-by-association of the 5,6 people. 2010-06-18 NAACP Legal Defence Fund skeptical of "so-called Independent Redistricting Commissions". They seem to see a risk of these commissions becoming unaccountable and potentially creating racially charged maps. Discussion of Voting Rights Act and racial gerrymandering. In short: NY S7881 redistricting reform enshrines the Two Parties, but that doesn't matter because it has solidly designed criteria for the map itself. I think I like it. S 1. Make a commission. The Two Parties each get 4 legislator seats, those 8 select 4 more ombudspeople to fill out the panel. They have until March 2012 (and *2 after that) to finish the maps. "For any contiguous group of senate or assembly districts, the percentage of the total number of such districts contained within such group, and the percentage of the total population of the state contained within such group, both expressed as two-digit numbers followed by two-digit decimals, shall not differ by an amount greater than 0.50." I think this implies that actually no district can have more than 0.5% variance off the mean, and it implies a combinatoric mess to check in the end. And adjacent districts can't vary by more than 2% between them, but I still think the middle requirement will wind up being the tightest one. 2.f Prioritized list of nice things to have. Whole counties, county subdivisions, towns. Compactness (three vague definitions). "communities defined by actual shared interests". Not pitting incumbents against each other (but everything else outweighs this, so it'll probably never come up). Section 1. Establishment and alteration of senate, assembly and congressional districts. a. There shall be a legislative advisory commission on redistricting and demographic research (the "commission") to draw senate, assembly and congressional districts, so that all the people of New York may be fairly represented. The temporary president of the senate, minority leader of the senate, speaker of the assembly, and minority leader of the assembly shall each appoint two legislator members from their party conference, with one appointee from each majority designated as co-chair. The eight legislator members shall select and appoint four public members by a vote of at least six of the eight legislator members. A majority vote, if the legislators divide along party lines, would then require agreement of at least three of the four non-legislator members. No person shall be a non-legislator member of the commission who is not a registered voter in the state of New York, and who has not been, at the time of appointment, a resident of the state of New York for five years. No member of the senate or assembly, no member of congress, and no person holding judicial office, shall be a non-legislator member of the commission. Vacancies shall be filled by the original appointing legislative authority. b. The senate, assembly, and congressional districts shall be developed by a vote of at least seven members of the commission. The plans of senate, assembly, and congressional districts developed by the commission shall be submitted to the legislature for enactment. The commission shall establish the senate and assembly districts no later than the last day of January of the second year following the year in which the federal decennial census is taken. The commission shall issue a report explaining how the districts comply with the requirements of section two of this act. Congressional districts shall be enacted into law no later than the last day of March of the second year following the year in which the federal decennial census is taken. The commission shall issue a report explaining how the districts comply with the requirements of section two of this act. Members of the commission shall provide the legislature with reports on multiple plans if the commission fails to achieve a majority vote on either the senate and assembly plan or the congressional plan. The commission shall meet to make adjustments to plans for congressional, assembly and senate districts should the legislature fail to adopt the commission's plan and return such recommendations to the legislature. The commission's revised plans shall be submitted to the legislature for consideration. Districting plans enacted into law shall become effective for the next ensuing general election of senators, assembly members, and members of congress. The senate, assembly and congressional districts shall remain unaltered until after the subsequent federal decennial census, except that, if an alteration of such districts shall be ordered by a court of competent jurisdiction, or if such districts shall be prevented from taking effect pursuant to this article or to any provision of the constitution and laws of the United States, the commission shall meet to recommend alter actions necessary to the legislature to provide a remedy. All votes of the commission shall be taken at public meetings, and the commission shall cause transcripts of all meetings and hearings, including all testimony submitted in writing, to be made publicly available. The commission shall promote informed public understanding of, and participation in, the process of redistricting, by such means as providing information to the public, holding hearings and adequate public comment periods before and after plans are finalized, and encouraging submission of proposals. c. The legislature shall make necessary appropriations for the expenses of the commission, provide for compensation and reimbursement of expenses for the members and staff of the commission, assign to the commission any additional duties that the legislature may deem necessary to the performance of the duties stipulated in this act, and require other agencies and officials of the state of New York and its political subdivisions to provide such information and assistance as the commission may require to perform its duties. d. Subject to such reasonable regulations as the legislature shall enact, the commission shall, with the approval of the temporary president of the senate, minority leader of the senate, the speaker of the assembly and the minority leader of the assembly as may be necessary to perform its duties, hire staff, enter into contracts, conduct research, hold hearings, and communicate with the public; shall assemble and maintain such geographic, demographic, election, and voter registration data as may be necessary for the analysis and evaluation of proposed and established plans of senate, assembly, and congressional districts, including, but not limited to, the compliance of such plans with the provisions of this act and with the constitution and laws of the United States; and shall cause all such data, and all expert reports, results of any other research conducted under a contract entered into by the commission, and proposals for districts submitted by the public, to be made publicly available. S 2. Criteria to be followed. a. All districts of a house of the legislature shall be as nearly equal in population as is practical, except as necessary to satisfy the requirements of subdivisions c, e and f of this section, but the difference in population between the most and least populous senate districts shall not exceed ten percent of the mean population of all senate districts, and the difference in population between the most and least populous assembly districts shall not exceed ten percent of the mean population of all assembly districts. For any contiguous group of senate or assembly districts, the percentage of the total number of such districts contained within such group, and the percentage of the total population of the state contained within such group, both expressed as two-digit numbers followed by two-digit decimals, shall not differ by an amount greater than 0.50. The populations of any two senate or assembly districts adjoining within a county subdivision, or, in New York city, within a county, shall not differ by an amount greater than two percent of the mean population of such two districts. b. All congressional districts shall be as nearly equal in population as is practicable. 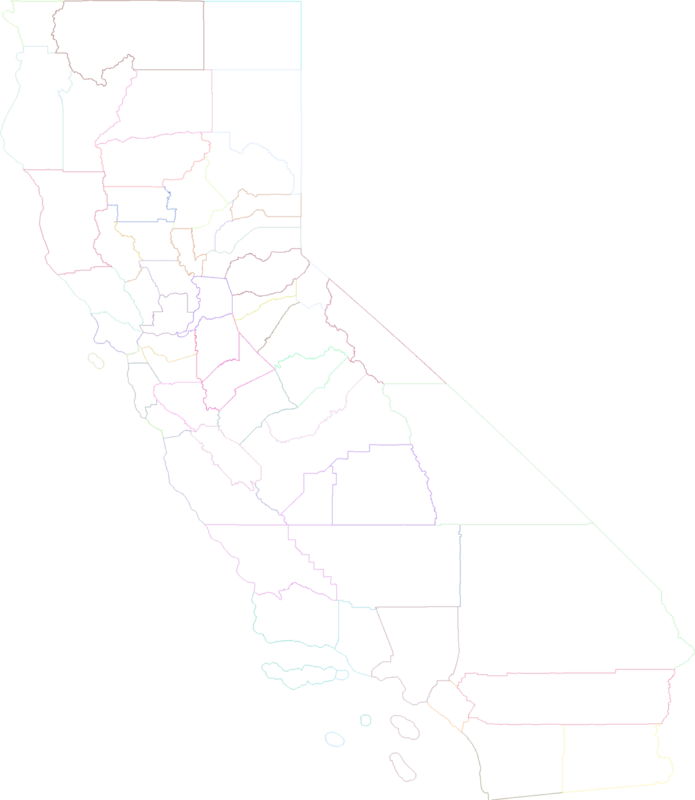 c. Each district shall consist of contiguous territory; no district shall consist of parts entirely separated by the territory of another district of the same body, whether such territory be land or water, populated or unpopulated. A populated census block shall not be divided by a district boundary, unless it can be determined that the populated part of such block is within a single district. d. The whole number of persons reported in the federal decennial census shall be the basis for determining populations for the purposes of this article, except that, for the purpose of determining the populations of senate and assembly districts, no person shall be deemed to have gained or lost a residence by reason of conviction and incarceration in a federal or state correctional facility. e. Senate, assembly, or congressional districts shall not be established that result in a denial to members of racial and linguistic minority groups of an equal opportunity with other citizens to participate in the political process and to elect the representatives of their choice. The principles stated in subdivision f of this section shall be used to create districts that will afford fair representation to the members of those racial and linguistic minority groups who are sufficiently numerous and whose residential patterns afford the opportunity of creating districts in which they will be able to elect representatives of their choice. f. Subject and subsidiary to the requirements of subdivisions a, b, c, d and e of this section, the following principles shall be followed in the creation of senate, assembly, and congressional districts. A principle with a lower number shall have precedence over a principle with a higher number. i. To the extent possible, counties shall not be divided in the formation of districts, except to create districts wholly within a county pursuant to state law. ii. Where possible, county subdivisions shall not be divided in the formation of districts, except to create districts wholly within a county subdivision. For the purposes of this article, a county subdivision shall be a city (except for a city with a population of one million or more), a town, or an Indian reservation whose territory is exclusive of the territory of any city or town. To the extent possible, county subdivisions with larger populations shall be divided in preference to divi sion of those with smaller populations. iii. If a town must be divided, where possible, incorporated villages shall not be divided. iv. Senate, assembly, and congressional districts shall be as compact in form as is possible. Plans of senate, assembly, or congressional districts shall be compared, using average numerical measures, for each such plan, of: (A) geographic dispersion, the degree to which the territory of districts is either tightly packed or widely spread out; (B) the relation of the perimeter lengths to the areas of districts; and (C) the dispersion of the populations of districts; but no measure shall be employed that is scale-sensitive, according different weight to the compactness of districts in rural, as compared with urban areas, or yielding different measures for identically shaped districts that differ only in absolute size. v. To the extent possible, a senate, assembly, or congressional district shall unite communities defined by actual shared interests, taking account of geographic, social, economic, and other factors that indicate commonality of interest, and districts shall be formed so as to promote the orderly and efficient administration of elections. vi. To the extent possible, the residences of two or more incumbent members of the same body shall not be placed in the same district of such body, and the residences of incumbent legislators and members of congress shall be included in the district with the largest number of their existing constituents, but the requirements of subdivisions a, b, c, d and e of this section, and of paragraphs i, ii, iii, iv and v of this subdivision, shall always take precedence over, and shall never be subordinated to, the requirements of this paragraph or the preservation of the cores of existing districts. 2010-04-18 Montana doesn't even have congressional districts, but the state legislature districts cause plenty of contention. 2010-04-16 The race issue is contentious over FL initiatives. FUD from both sides about each other's bills. One is racist, the other is a sham. I don't think they're racist, but I had some nitpicks about the FL initiatives. 2010-04-16 the albany project blog and 2010-04-20 NYT report on Ed Koch heading up a movement to bring reform to New York state redistricting. There has been a lot more written about the process unfolding in New York, but I have found it heavy on opinion and speculation and light on what's actually happening. 2010-04-19 Rose Report writes about Illinois Dems introducing their less-change redistricting plan. But, by 2010-04-30 all IL redistricting reform plans declared dead. 2010-04-29 Oregon businesses back changes set out in a petition going around for signatures in Oregon. 2010-05-10 Bill expands governor's power. "The fear among Republicans is that the state could end up after this fall's elections with a Democratic attorney general who refuses to seek Justice Department approval for maps drawn by a Republican-controlled General Assembly and approved by a Republican governor." 2010-05-08 AP: Lawmakers can raise 'soft money' for redistricting. This is in anticipation of expensive court battles over maps. 2010-05-14 USNews OpEd by Peter Roff singing for the impending republican majority to be brought about by reapportionment and redistricting. I talked to Dr. Micah Altman at Harvard recently and he has a pretty good idea for a project. In short, use Open Source technology, and write some more, to create a web app that will let anyone draw their own maps. From there, build a community process where people share and discuss their maps. Maps would be accompanied by automatic statistical reports. Current Open Source technology in the form of Geo Server can render map data and display it in a slick tiled, scrollable webapp kinda like Google Maps. Eventually it needs a social site with map pages posted by some owner and comments off that (possibly a community-blog format, with the posted maps being a user's "diary" entries). Related technologies: Open Layers maps. 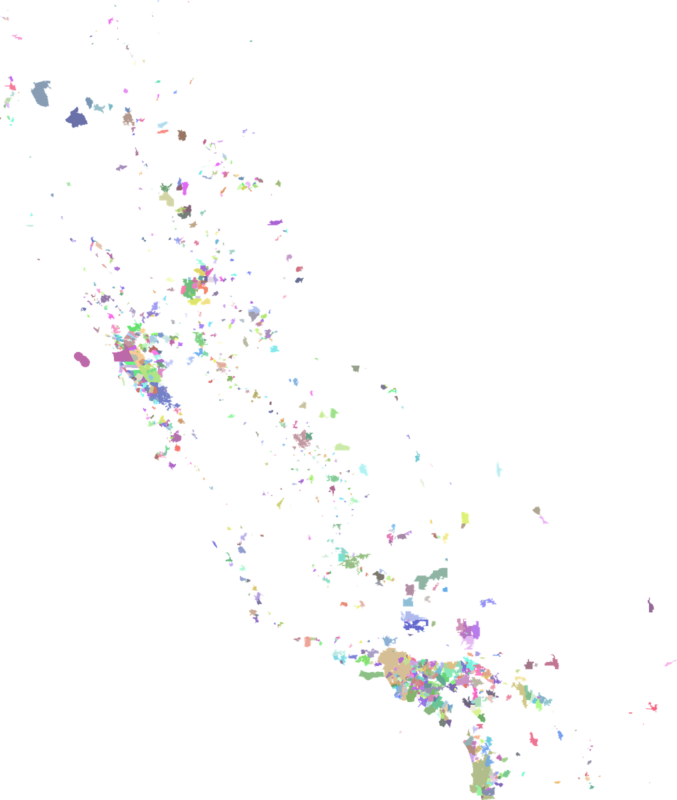 PostGIS geo database. Dave's redistricting app makes prettier maps than mine. Between Dave and I we now have competition in the independent redistricting application market. I must close the rendering gap! I figure if I add county outlines, metropolitan area highlights, and maybe interstate highways I'll have enough landmarks for people to understand their states by. Oh, and I need to render water right too. These are all additions to the new Java renderer that parses the shapefiles. I think I'm leaning towards making a downloadable desktop Java application for doing hand-redistricting. It might also be doable as Applet or web-start delivery. I'm sure I'll be posting these more frequently as things heat up. 03-15 AP Article parties wrangle to controle state legislatures and thus redistricting. 03-16, Huffington Post, DLCC to sepend $20e6 on state legislature races with eye toward redistricting.  The California system, and other proposals I've seen, take district map making away from party biased state legislatures and give it to ... party influenced 'independent' commissions. A common formula gives 'both' parties equal say in appointing members of the redistricting commission. The big problem I have with this is that the two parties don't represent everyone. There are other parties. There are a growing number of people who associate with neither party. Giving up control of our government to these two squabbling groups, and codifying it in law and amendment to state constitutions, seems like a bad plan to me. The California plan makes a party of 5 Democrats, 5 Republicans and 4 independents. A recent proposal for Illinois suggests 3, 3 and 1. These proportions are right for no particular reason, and sooner or later, perhaps immediately, they will be wrong. What's the alternative? We could hold special elections in November of Census years to elect the map makers for the next year. If this is done right it would elect people representative of the population. But, it wouldn't do anything more than that. I can't think of any process that will give us sufficiently enlightened people that will reliably draw maps that actually represent 'communities of interest'. I hope someone thinks of one. Until then it's just more government by dysfunctional duopoly. I think there may be problems in implications of the amendment language they have set out. They set out the negative standards that "No apportionment plan or district shall be drawn with the intent to favor or disfavor a political party or an incumbent; and districts shall not be drawn with the intent or result of denying or abridging the equal opportunity of racial or language minorities to participate in the political process or to diminish their ability to elect representatives of their choice"
Additionally, districts shall comply with federal law, "districts shall consist of contiguous territory" , "districts shall be as nearly equal in population as is practicable; districts shall be compact; and districts shall, where feasible, utilize existing political and geographical boundaries". The problem comes at the end, "The order in which the standards ... are set forth shall not be read to establish any priority of one standard over the other"
Without any priority, how are we to know what to do? Some fuzzy hodgepodge of all those values? Can I sometimes throw out compactness in the name of preserving existing political boundaries? Must I sometimes do the opposite and throw out a boundary to make a compact district? Perhaps "districts shall, where feasible" is a lesser commandment than the straight up "districts shall" of the previous clauses. In that case, existing boundaries are out, equal population and compactness are in. Except of course that the 'compliance with federal law' aspect will make equal population a hard requirement, above the others. Ok, fine, that's what I want anyway. Partisan gerrymandering is measured by 'intent', but race is measured by 'intent or result'. I'm not sure we can measure intent, but I am sure we can measure results. What level of results skew implies intent? What is "opportunity ... to participate in the political process or to diminish their ability to elect representatives of their choice"? I wish I could elect the representative of my choice. Are we going to declare that districting shall be used to create faux-proportional representation? Which way of cutting the population cake do we use to decide how to group people together and declare that they get to elect a representative? Race is an obvious way, but not the only way, and probably often not the right way. Florida will probably yet be better off with these amendments than without them, but I don't expect their redistricting plans to be approved under these systems until some time in 2012 after lengthy and expensive court battles. Virginia legislature fails to pass an independent commission bill, will likely draw districts themselves. The current redistricting solver is probably pretty close to being a workable distributed client that people could download and run and help with the computation on their home computers. It has a reasonably small ram footprint, and runs at low priority well, I do this much of the time on my own computers. It just needs a wrapper to manage downloading a state of data and uploading results. There is another option that I've considered some times which is to expand the graphical display version that I have for MacOS X and make it into a full editor that could be used to hand-tweak district maps. It would have the measurement ability built-in to get compactness measures and demographics. It might be interesting to see what people come up with that the automatic solver wouldn't. I'm sure it's sometimes more satisfying to get in and work on it yourself instead of just letting the solver work, and I think there could be better following of actual community boundaries if someone who knows the area draws the map by hand. I don't know how much that will deviate from 'optimal' compactness, so I guess we'll just have to try it and see. The blog poll for the next few months is this, do you want a nice quiet background solver or tweaking and tinkering by hand? I'm doing a lot of work on my redistricting program lately and I thought it needs a devoted blog just to that topic.